Wooden toys have the ability to transcend time; they take adults back to their childhood, keep this generation in their childhood and will last to be adored by the next generation. 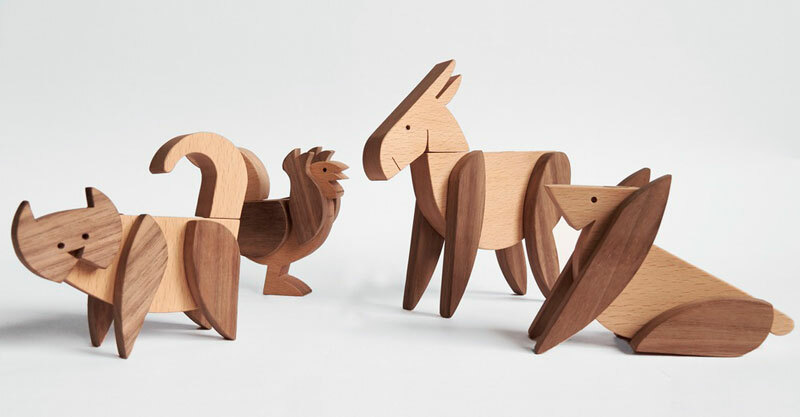 These clever wooden toys are part puzzle, part building blocks and a whole lot of creativity. Archabits are a Bulgarian architecture studio that have branched out into interior and product design. 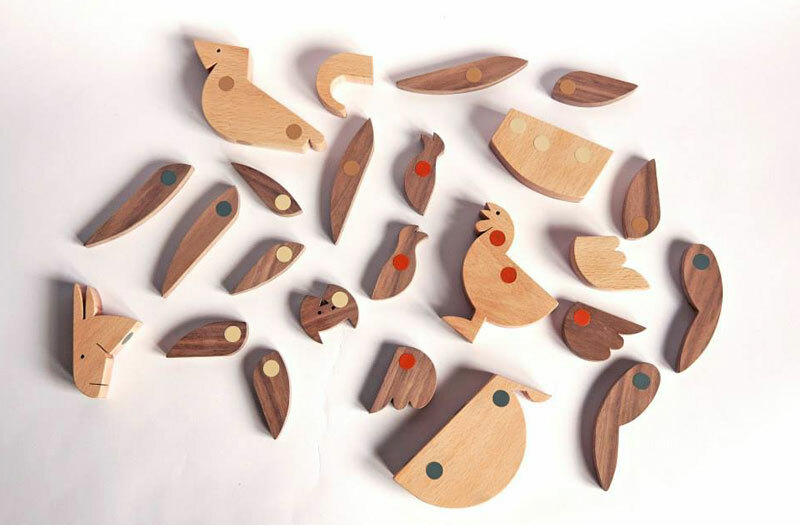 ESNAF is their new product line of handmade wooden toys and we can’t get enough. Bremen Town Musicians is one of our favourites in this developing product line and it is based on the famous Brothers’ Grim fairytale. Each wooden toy in the set is assembled with individual wooden shapes crafted from natural materials including beech and American walnut. Each piece has embedded magnets that are colour coded so kids can reconstruct the original animal figure or let their imagination go wild and create weird and wonderful creatures with the interchangeable parts. Designed and made in-house by the team at Archabits, this collectible set is entirely handmade and has not been varnished or painted; in fact, no artificial materials were used in the making process. Find the Bremen Town Musicians as well as other toys in the ESNAF range in the Archabits online store. These stacking puzzle toys are made to order and are now available for pre-order. They cost €75 to buy, including shipping.